Every Tuesday for the next few months I'll be sharing some projects made with Just Dandy Studio products. Thank you for checking them out! And thanks to Melissa Bickford, the owner and heart and soul of this new company, for being such a delight to work with. 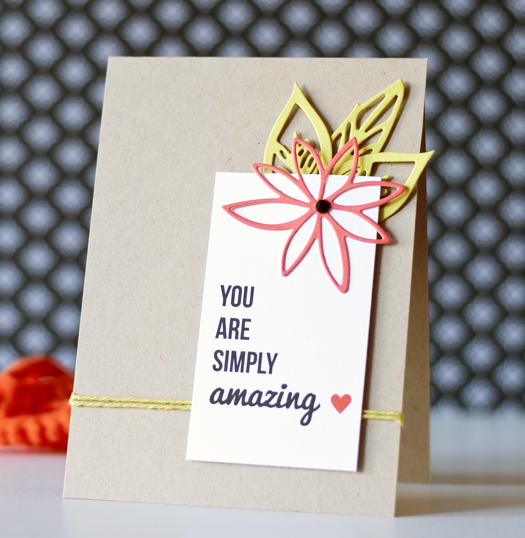 Speaking of Melissa, she shares some fun free printables on her blog on a fairly regular basis. 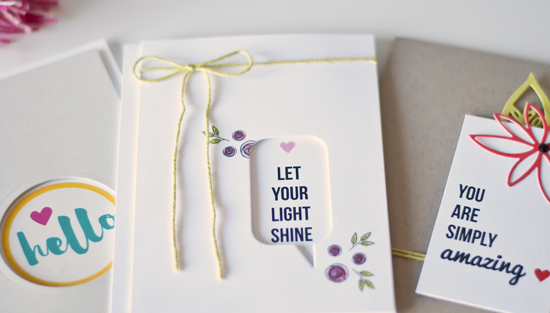 These are not the first projects I made with my Just Studio Dandy supplies, but I so loved how easy these cards were to make that I decided to bump them up to first place. These came together so quickly. Just Dandy Studio Stickers - Party Balloons (Never thought to use a sticker on a card. So easy! 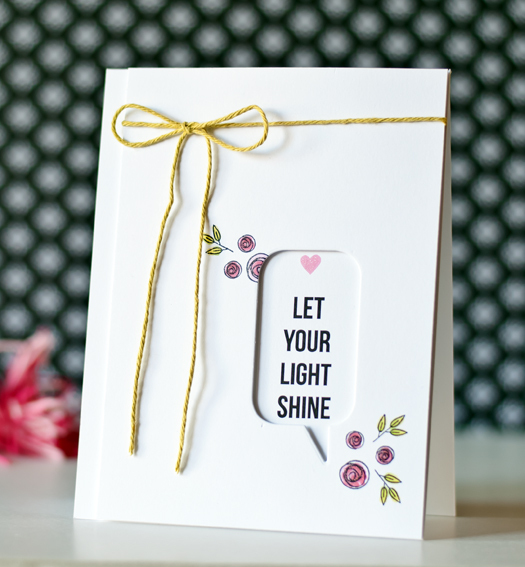 This card base is only 4 inches wide to accommodate the leaf hanging off the right edge. I noticed that Melissa is releasing her first Dandy Mail kit today, September 15th. Each kit will include products that will not otherwise be available in her shop. I haven't seen the kit yet so I'm looking forward to checking it out! Love your cards Joan! 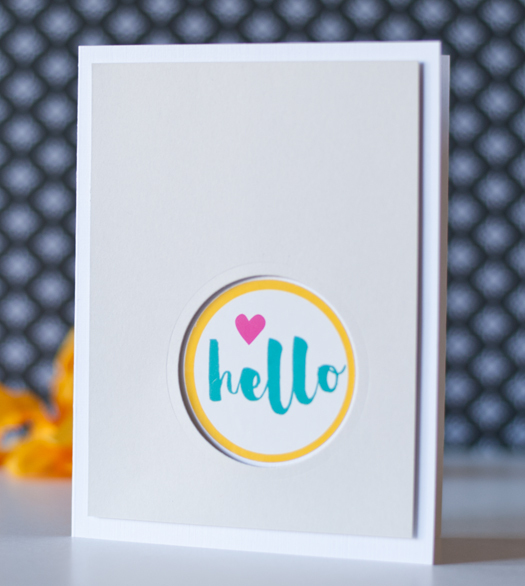 I especially like the way you have die cut shapes (the circle and bubble) from the front and popped the sentiment underneath. It makes your dies so much more versatile! Thanks for the inspiration! You're such a great fit....awesome cards! Your blog is hysterical. In a good way. I just found it when I clicked on a card you posted on the pre-class Online Card Class - Watercolor Mediums (if that is a sentence?). I think I need to give up my job, too - so I can stamp all day. Thanks for giving me a laugh! Your cards are simply amazing! There's nothing here that looks like a sticker. Love them! Oh, these are all wonderful! These are all so amazing Joan, I especially love the first one. CAS perfection!